In Ukrainian folklore, the stork is a symbol of life, of prosperity and of hope for the future. Lelechenky -- the "Storks" are just that. For the people of Chornobyl these bright eyed, vibrant children represent the hope for the future. Lelechenky -- "The Storks" are a Ukrainian folk dance ensemble. 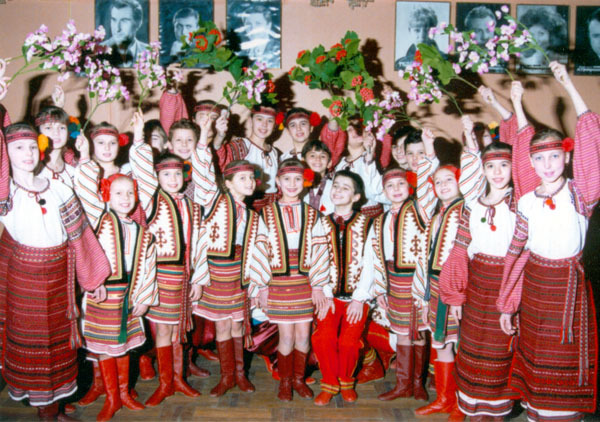 The dancers are all children who were evacuated from the City of Pripyat and resettled in Kiev, and or children of Chornobyl clean up workers. The primary mission of the ensemble is to provide a healthy activity and positive outlook for children who are at high risk for future illness, stress related problems, and depression. The secondary mission is to develop cultural and artistic talents, to make people aware of the after-effects of the Chornobyl accident and to raise funds from their performances to finance medical treatment for children who are already ill.
Lelechenky, have performed throughout Europe and in Japan and have won many awards for their artistic and humanitarian efforts. During a performance in Germany, they dragged both President Kravchuk of Ukraine and Helmut Cole on stage to dance with them. So, perhaps they even have a future in international politics. The dance ensemble is made up of thirty-five children ages 6 to 14. 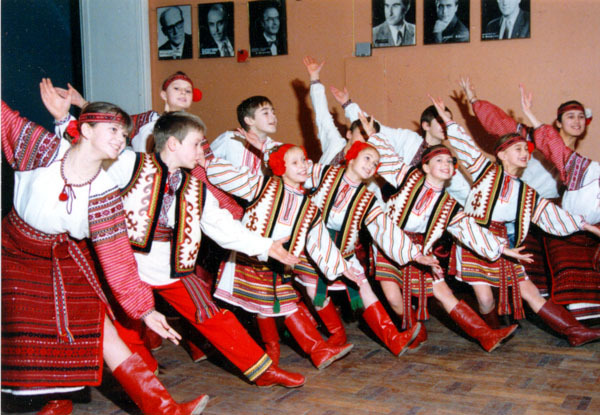 They perform traditional Ukrainian folk dances and simultaneously sing folk songs from all the regions of Ukraine. 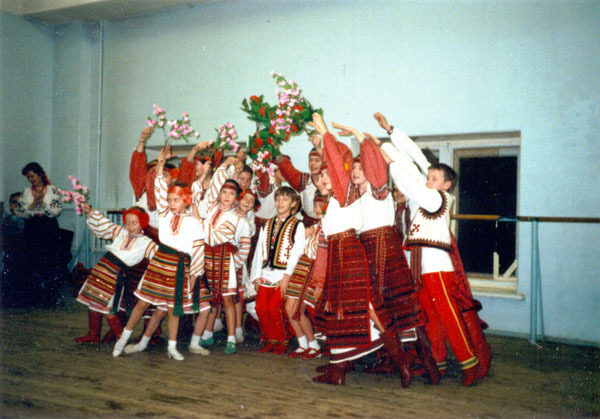 They perform traditional folk dances of other countries where Chornobyl victims live, and are learning to clog and square dance with anticipation of touring the United States in the future. Their director, Victor Litvenenko, is a well known professional choreographer and dancer with the famous Moseyev Dance Ensemble from Moscow. He works with the Chornobyl children as a volunteer. His philosophy is that everyone should do their part - according to their abilities - to help - even in a small way to resolve the problem of Chornobyl. "Children are the true victims of this disaster," he says. "We can not abandon them." Lelechenky are sponsored by Chornobyl Union International, and coordinated through the Children's Fund.